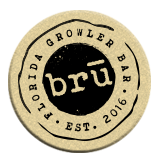 Can I bring my own growler? Absolutely, as long as it is 32oz, 64oz or 1 gallon. Please do your best to clean it before bringing it in, however we’ll also give it rinse before we fill.